In the half century since his demise the image of Georgi Dimitrov as a leading communist revolutionary of the century has been rightfully maintained. Time has not been able to erode his historical contributions to the cause of democracy and socialism. Let us recall his courageous and steadfast stands before the Nazis at the Leipzig trial in 1933 where the courtroom was transformed into a rostrum to expose his fascist prosecutors. As General Secretary of the Comintern, Dimitrov evolved the new forms of the united and popular fronts directed against the rising tide of fascism. In the years after the Second World War he elaborated the general theory of people's democracy at the Fifth Congress of the Bulgarian Communist Party in 1948 and also outlined the steps to be taken for the laying of the foundations of socialism in Bulgaria. Much of his contribution to the international communist movement is little known: the formulation of the strategy of new democracy which was evolved in the framework of the national-revolutionary wars in Spain and China; his advice to the international workers' movement after the dissolution of the Comintern when he was head of the International Information Department of the CPSU(b); the criticism of the nationalist deviation in Yugoslavia in 1948-49 particularly on the resolution of the national question in the Balkans. The name of Dimitrov was, however, sadly tarnished by those who submitted to the path of the 20th Congress of the CPSU. This outstanding revolutionary was sought to be presented not as a Communist in the mould of Lenin and Stalin but as a precursor of Khrushchev, Zhivkov and Brezhnev. The 14 Volumes of his 'Works' in Bulgarian were not translated into other languages and those writings which were made available for circulation were suitably edited and emasculated. In India the name of Dimitrov was thoroughly misused as the theoretical ballast to justify the reformist programmes of national democracy and people's democracy as put forward by the CPI and CPI(M). It is a matter of record that the only party which consistently celebrated and defended the life and work of Georgi Dimitrov was the Party of Labour of Albania. It is wholly appropriate that the 50th anniversaries of the death of Dimitrov and the victory of the Chinese revolution be commemorated by the publication of documents and materials which reveal new evidence of the contribution of Dimitrov and the Comintern to the Chinese revolution. The materials published below have two sources: first, a collection of documents published in the USSR in 1986 on the theme of the Communist International and the Chinese revolution which carried new archival documents, and second, the Diary of Dimitrov, published in Bulgarian from Sofia for the first time in 1997. Mao Zedong, in his tribute to Dimitrov, noted that in the entire period when he was the leader of the Communist International he had paid a lot of attention to the Chinese Revolution. On several occasions during November 1937, September 1938 and May 1939 the Comintern turned to the world working class to extend all possible support to the Chinese people in the war against Japanese imperialism. Mao stated that Dimitrov had paid attention in good time to the question of creating an Anti-Japanese united front in China and the need in the organisation of this front to struggle against 'left' sectarianism and right opportunism. This had rendered great help to the Chinese communists in the correct realization of the united Anti-Japanese National Front. Mao Zedong's eulogy represents an accurate evaluation of the important role played by Dimitrov in the course of the Chinese revolution. It is apparent that Dimitrov and ECCI closely monitored the developments related to the formation of the united national front in China against Japanese imperialism. In August 1936, for instance, the ECCI secretariat advised the CPC and the Red Army of the need to have a clear conception of the united national front so that there was no weakening of the Soviets, dissolution of the Red Army in the united anti-Japanese army or the CPC into some general political league of China. The ECCI expressed its reservation at the CPC policy of accepting anyone who so desired as a member of the party regardless of their social origin. Especial concern was expressed at the intention to accept Zhang Xueliang - who was shortly to arrest Chiang Kai-shek at Xi'an - into the CPC. It was also considered incorrect to allow access to the political leadership in the Soviet regions to the representatives of the propertied classes. The CPC was cautioned to make a distinction between Chiang Kai-shek and Japanese imperialism as it would not be possible to fight on both fronts at one and the same time. Serious armed resistance against Japan needed the participation of at least a part of the army of Chiang Kai-shek. Furthermore it was suggested that the CPC slogan of 'immediate declaration of war on Japan' needed to be modified to indicate the predatory character of the war on the part of Japan. The Xi'an events of December, 1936 were closely observed by the leadership of the CPSU(b) and ECCI. After discussion the CPC was advised that the action of Zhang Xueliang in arresting Chiang Kai-shek could, objectively, damage the formation of an anti-fascist front and encourage the Japanese aggression in China. It was suggested that the CPC decisively intervene for a peaceful resolution of the Xi'an incident on the basis of, inter alia, broadening the government to include representatives of the anti-Japanese movement, providing democratic rights for the Chinese people, ending of the policies directed at destroying the Red Army and of the establishment of joint struggle against the Japanese aggression. After the successful resolution of the Xi'an incident the ECCI continued to advert to the problem of the persisting survivals of sectarianism in the CPC policies. In 1937 it was pointed out that the Chinese party still pursued a policy of breaking up the Kuomintang and not of cooperating with it. The alliance with the Nanking government and Chiang Kai-shek was viewed as though they had capitulated at Xi'an. A further dimension to the basis of cooperation between the CPC and the Kuomintang was added by the ECCI which suggested that the CPC should consider itself prepared to implement the Three Principles of Sun Yat-sen: national liberation, democratic freedom and the people's welfare, in addition to the earlier basis of the formation of the united national front against Japanese imperialism. These documents make it apparent that in 1936 and 1937 Stalin and the CPSU(b) leadership and Dimitrov and the Comintern decisively intervened to elaborate the basic framework of the anti-Japanese united national front of the Kuomintang and the CPC which was to be followed right up to the close of the Second World War. The documentation reveals the areas of differing perception between the ECCI and the CPC which emerged in the years of the united national front against the Japanese aggression. Mao's interview with the American correspondent Edgar Snow in October 1939 was denounced by Dimitrov as being 'provocative' and likely to weaken the united national front. Mao in his statement had said that the areas then under the control of the communists were administered independent of the Nanking regime and that China would not be fully unified till the Kuomintang dictatorship was abolished and succeeded by a democratic regime. Wang Ming recorded in his writings that he was directed by Dimitrov to explain to Mao Zedong and the Central Committee of the CPC that Mao had departed from the positions expected of a communist in the course of his talks with an American bourgeois journalist. As is known Edgar Snow in the early editions of 'Red Star Over China' had projected a view of the course of the Chinese revolution which was in the spirit of Trotskyism. It also is evident that the Comintern viewed the activities of another American journalist, Agnes Smedley, with considerable suspicion. In a telegram to Mao dated January 1941 after the armed conflicts in Anhui between the armed forces of the CPC and the Kuomintang, the Chinese leader was cautioned by Dimitrov not to breach the united national front against Japan, and was requested to reconsider his position on this question. Mao was asked not to direct himself towards a rupture with the Kuomintang but instead to lean on the masses who stood by the defence of the united front, to fully depend on the Communist Party and the Soviet Army, avoiding the expansion of internecine war. in the following year in June 1942 in another letter he again emphasised the need to strengthen the united front with Chiang Kai-shek. Dimitrov noted that the Kuomintang was concerned to discredit the CPC and isolate it but that Zhou Enlai did not take this into account in his activities and held secret meetings with the opponents of Chiang Kai-shek in Chongqing which could not but strain the relations of the united front and so jeopardise the fight against Japan. The exchange of views between Dimitrov and Mao Zedong in December 1943 and January 1944 is of particular interest. Dimitrov's letter to Mao on the grave situation in the leading circles in the CPC was published for the first time in English in this journal in September 1996 (Vol. II, No. 2). The publication of Mao's replies which are to be found in the recently published Diary of Dimitrov, and which are published below for the first time in an English translation, enable us to have a clearer picture of the issue at stake in this correspondence. The CPSU(b) leadership was in the know of this exchange as copies of the telegrams were sent to V.M. Molotov. Dimitrov's letter to Mao arose once again from the concern that the policies of the CPC could weaken the united national front against Japan. He noted that on the basis of the information available to him it appeared that the CPC was pursuing a politically mistaken course by rolling back the struggle against Japan and deviating from the policies of the united national front. He feared that these erroneous policies could lead to the isolation of the party from the masses and sharpen the civil war. Moreover, the policy of the united national front of the Comintern was incriminated by the Chengfeng movement which was directed against Zhou Enlai and Wang Ming. Neither of these leaders ought to be severed from the party but be retained and utilised to the utmost for the party. Dimitrov noted, furthermore, that a section of the party cadre had unhealthy attitudes to the Soviet Union. He expressed his doubts on the role of Kang Sheng, who at this time was close to Mao during the Chengfeng campaign, the 'movement for the rectification of style', and argued that this campaign was taking on such abnormal forms that it would only lead to indignation amongst the party members and help the Japanese and demoralise the party. Dimitrov reminded Mao Zedong that he had passed on information to him of the plans of the Kuomintang to divide Mao from Wang Ming and other activists and to create hostility against those who had lived and studied in Moscow. He considered that by his activities Kang Sheng was playing into the hands of the Kuomintang. In the first of his two letters, dated 2nd January 1944, Mao rebutted the charge of Dimitrov that the CPC was winding up the struggle against the Japanese and marshalled facts to the contrary. He asserted that the policy of the united front with the Kuomintang remained in force despite the fact that the Kuomintang had planned armed attacks on the Special Region. Regarding the Chengfeng campaign Mao argued that Zhou Enlai had achieved great success and progress and that there were no steps to remove him from the party. In contrast Mao charged Wang Ming with a wide range of activities which suggested that he had engaged in anti-party work over a lengthy period. Regarding Kang Sheng, who was playing an active role in the Chengfeng campaign, Mao considered that there was hope for him. Denying the implication that anti-Soviet attitudes were prevalent in the CPC Mao argued that Stalin and the Soviet Union were treated with love and all possible respect in the Chinese party. In his second missive to Dimitrov dated 7th January 1944 Mao further elaborated on the problems posed by the former Comintern leader, prefacing his reply with gratitude to Dimitrov for the 'directions' given to Mao which he, Mao, was deeply obliged to study, 'to pay attention to them and to act upon them'. Once again Mao averred that the CPC was following the policy of cooperation with the Kuomintang and he anticipated that the situation would improve. With regard to the state of affairs in the CPC leadership no allusion was made to the questions of Zhou Enlai or Kang Sheng but with regard to Wang Ming, whom he had strongly attacked in his earlier letter, Mao now drew in his horns and said that the policy of strengthening unity would be extended to him. The documents and materials presented here shed light on a wide range of questions pertaining to the relations between the CPSU(b), the Comintern and the CPC, the military and financial assistance granted to the CPC and the Chinese Red Army during the anti-Japanese war, and the internal relations within the leadership of the CPC. Not only do these materials illumine the problems of the time but they also help to elucidate the course of the CPC and its leadership in the period after the death of Stalin. This journal presents these documents as its tribute to Georgi Dimitrov and to the great Chinese revolution. Placard, Long Live the Friendship of the Peoples of the USSR and China! Nikola Avreiski, Georgi Dimitrov i revolyutsionnoto dvizhenie v kitai, Sofia, 1987. Boyd Compton, ed., Mao's China, Party Reform Documents, 1942-44, Seattle, 1952. Georgi Dimitrov, Selected Articles and Speeches, London, 1951. Georgi Dimitrov, S"chineniya, Vol. 14, Sofia, 1955. Georgi Dimitrov, Dnevnik, Sofia, 1997. V. Khadzhinikolov et al., Georgi Dimitrov, biograficheskii ocherk, Moscow,1973. V. Khadzhinikolov, Georgi Dimitrov i Sovetskaya obshchestvennost 1934-1945, Moscow, 1975. Georgi Dimitrov, vydaushchiiya deyatel' kommunisticheskogo dvizheniya, Moscow, 1972. Kommunisticheskii Internatsional i Kitaiskaya Revolyutsiya, Dokumenty i materialy, Moscow, 1986. Mao Zedong, 'Georgi Dimitrov and the Chinese People', Revolutionary Democracy, Vol. II, No. 2, September 1996, pp. 71-72. P.P. Vladimirov, China's Special Area 1942-45, New Delhi, 1974. Wang Ming, Mao's Betrayal, Moscow, 1979. I will make a few comments: we have, on the basis of the information about the situation regarding our forces and the situation of the Party, come out with a comprehensive resolution on the policies of the Chinese Party, its organisation, its leadership, its cadres and its methods of functioning etc. This is what we will be doing at another time, the sooner the better. The Chinese Communist Party in recent years has grown into a Party that has an army, that has weapons and that has accomplished heroic campaigns at the head of its Red Army. This has always been an inspiration and wonder for us. We must admit it unambiguously: I, personally for the last two years, after having returned, have been relating to these with admiration. I have remained under the influence of my fascination and love for the Communist Party of China, but we have not sufficiently critically approached our Chinese Communists, our Chinese comrades. We need here a more critical approach. Everything positive must be highlighted, but the shortcomings and the weaknesses should also be pointed out, so as to help our Chinese comrades overcome these weaknesses, these shortcomings and these negative aspects. The Chinese Communists are good and valiant people and they fight well. But it cannot be said that politically, in the complicated situation that we have in China today, that they have matured and are prepared for the task. I think the critical comments that Com. Wang Ming has made regarding the Secretariat concerning the decisions of the Politbureau, are applicable even in greater measure to Com. Wang Ming himself and also to a number of our Chinese comrades present here. These critical comments must be reflected in the speeches, documents and articles of our Chinese comrades here. The proposals that have been put up we can, of course, by and large, accept. They are correct. But certain corrections are still needed. Some of these proposals could be given to our Chinese comrades for approval and examination in China. 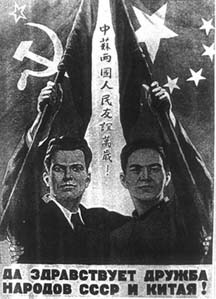 The task in China consists now not in the extension of the Soviet regions and the expansion of the Red Army, but it consists in finding possibilities, finding ways and appropriate slogans and appropriate methods for achieving the unity of the predominant majority of the Chinese people against the Japanese aggressors. It is necessary to preserve and strengthen our Red Army as the armed fist. It is necessary to develop our party as the vanguard of the Chinese proletariat and the Chinese people, not only with the aim of expansion of the Soviet regions, of the direct Sovietisation of China and the completion of the bourgeois democratic revolution in China. It must be underlined here that the establishment of a national all-Chinese republic, of the national all-China parliament, solution of the agrarian question through such a Parliament can unite the proletariat, the peasants, the petty bourgeoisie and the radical intelligentsia of China (and this means 90% of the Chinese population, of the Chinese people) on a common platform of the struggle against the alien enemy - the Japanese aggressors. And when we will be talking with the Kuomintang and directly with Chiang Kai-shek, and as we are expecting such talks, then we should somewhat modify and be on top of the conditions that we had in view earlier and which were mentioned by Com. Wang Ming. For example: we Communists and our Red Army and our Soviet regions declare our preparedness to fight against Japanese imperialism toward the establishment of a united, national All-China Democratic Republic on the basis of a universal code of elections. In this struggle the time will come for a mass and organised struggle for Soviet power. Such a situation is apparent in the present conditions in China when we have the Soviet regions, Soviet power and the Red Army. We should make use of it now. These positions have been won by the Chinese revolution. These must be taken advantage of, so as to more effectively fulfil the tasks at this stage of development of the Chinese revolution. Comrades, if we look back at history we can see that nations consolidated and united themselves in the course of bourgeois revolutions. This has benefited the bourgeoisie. And Chiang Kai-shek too now wants to benefit from this, by passing himself off as someone who united China by going on an offensive against the Soviet regions under the flag of national unification and against the division of the country. That the Japanese are on the offensive and have captured Manchuria and North China and are getting ready to move further must serve as a powerful lever for the unification of the Chinese people as such against the Japanese aggressors, contributing thereby to their freedom and national independence. Therefore, the Communist Party of China and the Chinese Communists, supported by their own ranks should be the initiators in this struggle. All else must become subordinate to this goal. It is now clear how incorrect is our political stand regarding Nanking, Chiang Kai-shek and the Kuomintang. This is a remnant of the past. So to say we are late by two or three years. But better late than never. It is important now to take the correct turn. Chiang Kai-shek personally does not want a unified front. He is afraid of the unified front, but it is necessary to create such conditions in China and such a movement among Chiang Kai-shek's army and in the Kuomintang that Chiang Kai-shek is forced to accept such an anti-Japanese united front, so that Chiang Kai-shek along with other commanders of the Nanking army move further towards a comprehensive anti-Japanese united front. Today the situation is such that Chiang Kai-shek is making full use of this national momentum of the Chinese revolution. It turned out that Chiang Kai-shek managed to organise three-fourths of the nation though he is no champion of unification of China against various military groups, against the division of China and the Chinese people. Tomorrow he is going to throw his forces against our Soviet regions under the slogan of unification of the whole of China against the local aggressors. This needs to be made use of. It would be correct, if our communists turn to the Kuomintang as a party, to the Central Committee of the Kuomintang with a concrete political proposal that our Central command is putting forward to Chiang Kai-shek, to the Commander in Chief of the Nanking forces concrete political proposals. Our comrades must turn to the Association for the Salvation of China and to the organisers of this association. In this manner our comrades must come forward as the initiators, the front fighters and organisers of the popular anti-Japanese front. Then in the course of the struggle for this anti-Japanese united front one must strive to get established the all-Chinese Republic about which we spoke earlier. Then our Soviet regions, which will send their representatives to this parliament, can raise the question of the creation of Soviets as the democratic organ of the all-Chinese republic and will strengthen their position further right until the victory of the working people in China in the struggle for Soviet power. In my opinion, to this we should limit our observations addressed to our Chinese comrades. It is clear, after all, Comrade Wang Ming, that critical observations do not at all mean undermining the influence of the Chinese Communist Party. This critical attitude must benefit the party. From the Chinese party we can demand more than what we can from the Estonian and Latvian (parties). The events in China have a global significance and would have global consequences. I recommend that the proposal of Comrade Wang Ming be accepted as the basis and entrust Comrade Wang Ming and the Chinese comrades to edit this short directive in conjunction with me. Concerning the rest of the matter, it will have to wait the arrival of the other comrades. Kommunisticheskii Internatsional i kitaiskaya revolutsiya, Moscow, 1986, pp. 263-266. Translated from the Russian by Tahir Asghar. Having acquainted myself with the decision of the 25 December 1935 and your telegraphic information we largely agree with the course undertaken by you towards creation of a united anti-Japanese national front. We think, however, that the leadership of the party and the Red Army must have a clear perception about the essential nature of the united anti-Japanese national front, as any mistake in this question can have dire consequences for the people of China. 1) The course towards the creation of a united anti-Japanese national front does not mean weakening of the Soviets, dissolution of the Red Army in the united anti-Japanese army and the Communist Party into some general political league of China. Politically, the united anti-Japanese front must be an agreement between the CPC, Kuomintang and other organisations on a united anti-Japanese platform while maintaining their respective political and organisational independence. Militarily, the anti-Japanese front must take the form of an agreement between the Red Army and the other armed forces for an united anti-Japanese army, in which each of these forces shall maintain its independence, is responsible for its area of the front, but is subordinate to the united command while fulfilling tasks of the general plan of action. The government of national defence must be representative of all the parties and organisations constituting the united anti-Japanese front. We make special note that the correct line in the creation of the united anti-Japanese front means overall strengthening of the party and the Red Army. Therefore, we are very worried by your decision that anybody who desires can be accepted into the party, without any consideration of their social origin, and that the party is not afraid of some careerists finding their way into the party, as well as your message about the intentions of accepting even Zhang Xueliang into the party. At present, more than at any other time, it is necessary to maintain the purity of the ranks and the monolithic character of the party. While conducting the systematic enlisting of people into the party and thereby strengthening it specially in Kuomintang territory, it is necessary that at the same time we avoid mass enrolment into the party, accepting only the best and tested people from among the workers, peasants and students. We also consider it to be a mistake to indiscriminately enlist into the ranks of the Red Army students and ex-officers of other armies, as that can lead to an undermining of its unity. We agree with you that in the interest of creating the united national anti-Japanese front the party must conduct significant corrections to its earlier economic policies: stop the confiscation of land of the petty owners that is rented out, as well as land belonging to the soldiers and officers that are actively engaged in the struggle against the Japanese aggressors and also allow free trading. But along with this we consider it to be erroneous to allow the representatives of the propertied class access to the political leadership in the Soviet regions as they can sabotage the power apparatus from within. 2) The present internal and external situation in China confronts the party with an immediate and most important task of unification of all the anti-Japanese forces for the defence of the territorial integrity of China and protection of the Chinese people from total colonial subjugation. In this regard it is reasonable that the Communist Party of China declares that it is in favour of a united all China Democratic Republic and of calling of the all-Chinese parliament based on comprehensive electoral laws and the formation of an all-Chinese government of national defence, which under present circumstances will be the best means of unification of democratic forces of the Chinese people in the defence of their motherland against the Japanese aggressor. The Communist Party of China can also declare that in creating the all-Chinese Democratic Republic, the Soviet regions will be included in the united all Chinese Democratic Republic and will participate in the all-Chinese parliament and enforce on all their territories the democratic regime being established for all of China. 3) We consider it wrong to regard Chiang Kai-shek as being no different from the Japanese aggressors. Such a position is politically wrong - because Japanese imperialism is the main enemy of the Chinese people and everything else must be subservient to the struggle against it. Moresoever, it is not possible to wage a successful war against both Chiang Kai-shek and the Japanese aggressors at one and the same time. Also we cannot consider the whole of the Kuomintang and the whole of the army of Chiang Kai-shek as allies of Japan. In order to offer serious armed resistance against Japan the participation of the army of Chiang Kai-shek or at least of a major part of it is essential. In view of all this it is necessary that we move towards a cease-fire between the Red Army and the army of Chiang Kai-shek and towards an agreement with it for a joint struggle against the Japanese aggressors. It is necessary despite the fact that the Kuomintang and Chiang Kai-shek are still afraid of moving towards an anti-Japanese agreement with anyone. For these reasons it appears necessary to us that the Communist Party of China and the command of the Red Army make an official representation to the Kuomintang and Chiang Kai-shek to start immediate talks regarding the cessation of all hostilities and of the signing of a concrete agreement for a common struggle against the Japanese aggressors. The Communist Party and the command of the Red Army must convey their readiness to immediately send a delegation for these talks or to receive the Kuomintang and Chiang Kai-shek's delegation on Soviet territory. 1) Cessation of the civil war and the unification of all armed forces of the Chinese people for a genuine struggle against the Japanese aggressors. 2) Establishment of a unified command and working out of a general military plan against Japan, while retaining full political and organisational independence of the Red Army, which will bear the responsibility for a specific area of the front in the struggle against Japan. 3) Allowing the Red Army to operate territorial bases and access to arms and other supplies. 4) Freeing of all Communist prisoners and an end to their persecution in the regions under the Kuomintang. If, against all proposals on talks and in spite of all the attempts to come to an agreement with Chiang Kai-shek, he continues with his military actions against the Red Army, the latter should only conduct a defensive struggle against the forces of Chiang Kai-shek, while continuing its campaign for concrete actions towards an agreement with the Kuomintang and its army and for the establishment of a united anti-Japanese nationalist front. Our declaration that calls for the offensive of the south-western group against Chiang Kai-shek appears to us to be wrong. Politically it would be correct to act determinedly against a further increase in the internal fratricidal war, provoked by the Japanese imperialists, and to concentrate the bulk of one's might against the latter. 4. We also recommend changing the slogan 'immediate declaration of war on Japan' raised by you. Your slogan must reflect the predatory nature of the war waged by Japanese imperialism against China and the defensive nature of the struggle of the Chinese people. Therefore it is better to raise the slogan 'throw the Japanese aggressors out of China', a slogan in defence of the territorial integrity, national independence and freedom of the Chinese people. 5. Contact with Zhang Xueliang must be supported, using him for expanding our work in the army of Zhang Xueliang, strengthening of our positions in all the divisions and wide propaganda among the mass of the soldiers and among officers for a united anti-Japanese national front. However, Zhang Xueliang himself should not be viewed as a trusted ally. Especially after the defeat in the southwest vacillations on the part of Zhang Xueliang are very likely, or even direct betrayal against us. We are waiting for your delegate so that we can have detailed discussions on the whole gamut of questions raised by you and to provide exhaustive answers. 'Kommunisticheskii International i kitaiskaya revolyutsiya', Moscow, 1986, pp. 266-269. Translated from the Russian by Tahir Asghar. Must change the formulation about Chi(nese) affairs. Soviets won't do. To bring about a national-revolutionary government, a government of national defence. For the defence of the independence of the Chi(nese) people. Soviets - only in cities. Not as organs of power, but as organisations of masses. Without confiscations. Throw out the draft. We'll see ? With Voroshilov about help to the Chinese. (Georgi Dimitrov: 'Dnevnik' (9th March 1933 - 6th February 1949), Sofia, 1997, p. 116). All translations from this work have been rendered into English from the Bulgarian by S.K. Vij. -- Received the decree of PB (of 2nd December 1936). To Narkom [People's Commissariat of Foreign Trade - R.D.] by foreign trade - trucks etc. (of these 150,000 Am(erican) dollars for aeroplane of foreign model, which is already ordered). 484 servicemen with the required qualifications (drivers, technicians, adm(inistrative) staff to be included in the workforce of the Sinkiang government. Leader of the expedition Colon(el) Com. Myunkov. *refers to the help for the Chinese Communists. 6) In the North-West Chiang Kai-shek will not pursue the Red Army. Soong Ching Ling (wife of Sun Yat-sen) is almost a Communist. (G. Dimitrov: Dnevnik, p. 117). Later, at 12 o'clock... ring from St[alin]: 'Are the events in China taking place with your sanction? What is Wang Ming doing with you? Is he a provocateur? Wanted to send a telegram to kill Chiang Kai-shek. With 'the five' in the Kremlin. Exchange of views on the Chi(nese) events. 1) The action of Zhang Xueliang, whatever may have been his intentions, objectively can only harm the unification of the forces of the Chinese people in a united anti-fascist front and encourage Japanese aggression in relation to China. d) establishment of co-operation with countries which sympathise with the liberation of the Chinese people from the aggression of Japanese imperialism. 1. The offensive of Zhang Xueliang whatever may be his intentions, objectively can only harm the unification of the Chinese people into an united anti-Japanese front and aid Japanese aggression against China. d) Setting up cooperation with those states which sympathise with the liberation of the Chinese people from the offensive of Japanese imperialism. Finally, we recommend you to desist from putting forward the slogan of allying with the USSR. 'Kommunisticheskii Internatsional i kitaiskaya revolyutsiya', Moscow, 1986, p. 270. Translated from the Russian by Tahir Asghar. Sent to Com. Stalin draft of the telegram to the Chi(nese) Com(munist) Party. (G. Dimitrov: Dnevnik, p. 121). We attach exclusive importance to the peaceful settlement of the events in Xi'an. However, such a settlement can be sabotaged not only because of intrigues by Japanese imperialism and its agents that incite internal war, but also as a result of wrong steps of our party. It is more obvious now than ever before the flaw in the earlier position of the party - achieve the setting up of the united front by removing Chiang Kai-shek and the dismissal of the Nanking government. In spite of the corrective measures taken by the party recently the party has still to completely get rid of this mistaken view. This is borne out specially by the instruction of the CC issued already after the freeing of Chiang Kai-shek. The party in reality is still pursuing the course of breakup of the Kuomintang, and not of cooperation with it. The very agreement with Chiang Kai-shek and Nanking is being viewed as Chiang-Kai shek's and Nanking's capitulation. Cooperation with Xi'an is being conducted as a bloc against Nanking, and not as joint actions against a common enemy. All this only helps the pro-Japanese elements. The main task of the party is to put a practical end to the civil war, above all rejection on the part of the Kuomintang and the Nanking government of their policy of destruction of the Red Army, enforcing of joint actions with Nanking against the Japanese aggressor, even if initially it is done without any formal agreements. With this in mind the party must openly declare and decisively follow in practice a course towards supporting all measures of the Kuomintang and the Nanking government for cessation of internal fratricidal war and for the unification of all the forces of the Chinese people for the defence of the integrity and independence of China from Japanese aggression. Issues of cooperation with the armed forces of Zhang Xueliang and Yang Hucheng and others must be made subordinate to the interests of fulfilling this main task and these armed forces be influenced to move in this direction too. We must desist from conducting any communist propaganda on the territory of Xi'an; desist from making any demands about an immediate declaration of war on Japan; desist from raising the slogan of alliance with the USSR. At the same time in the whole of the country especially in the Kuomintang territories it is necessary to intensify the mass campaign for unity and peace in the whole of China in the struggle against external aggression and demand in particular an end to the punitive expeditions being planned by the pro-Japanese regime. In case the punitive expedition is sent your goal should be to defend but do not give any opportunity for such an eventuality. Under all circumstances it is specially important to retain the unity of the Communist Party and the Red Army, as this is the only guarantee of overcoming all the difficulties in your way. Serious attention needs to be paid to the intrigues of the Trotskyite elements who are the servants of the Japanese aggressors and who in Xi'an as in the rest of China would attempt to sabotage the united anti-Japanese front. We are very suspicious of the behaviour of Agnes Smedley. You need to finally deprive her of the possibilities to speak on behalf of the Communists as their trusted spokesperson. Her conduct needs to be criticised in the press. Confirm the receipt of this telegram. We await information from you about your concrete measures in the spirit of these suggestions. 'Kommunisticheskii International i kitaiskaya revolutsiya', Moscow, 1986, pp. 270-272. Translated from the Russian by Tahir Asghar. In view of the great changes in the internal and international position of China, especially under the circumstances of Japanese aggression, do you think it is feasible and timely to make a transition in your regions from the system of the Soviets to a system of people's revolutionary administration based on democratic principles? This would mean above all: 1) transition of the Soviet government to a people's revolutionary government; 2) transforming the Red Army into a people's revolutionary army; 3) retaining the Soviets only in the urban centres and not in the capacity of organs of power but as mass organisations; 4) rejection of general confiscation of land. Would not such a change make easy the course of unification of the forces of the Chinese people in defence of their motherland and the establishment of the All-Chinese Democratic Republic? We request that you think about it very seriously and discuss this question and convey your opinion to us after which we can then consider this question in greater details here. 'Kommunisticheskii Internatsional i kitaiskaya revolutsiya', Moscow, 1986, p. 272. Translated from the Russian by Tahir Asghar. It appears to us that in your telegram to the Third Plenum of the Executive Committee of the Kuomintang it is better to limit oneself basically to just the declaration about the determinedness of the Communist Party and the Red Army to support the Kuomintang and the Nanking government in all their actions that are directed towards the cessation of internal hostilities and towards the unification of all forces of the Chinese people in resistance against the Japanese aggressor, and also the readiness of the Communist Party and the Red Army to come to an agreement with the Kuomintang and the Nanking government for reasons of reorganization of the regime in the Soviet regions along the democratic principles and regulation of the relations between the Central Nanking government and the government of these regions on the basis of the recognition of the Nanking government as the All-Chinese government. We recommend desisting from making any concrete declarations regarding the fundamental change in our policies in the Soviet regions. These questions demand detailed discussions and serious preparation of the whole of the party, the circles close to us as well as the masses for such a turn in our policies. We request you to inform us immediately about the steps taken by you in this direction. It appears to us that on the issue of the decisions of the III Plenum of the Kuomintang it is possible to reply in the following manner: moved by the will of whole of the Chinese people for internal peace in the interests of the unity of all forces for resistance against the Japanese aggressors, the Communist Party of China is ready on the basis of the conditions put up by the III Plenum to start concrete discussions for the regulation of mutual relations and cooperation between the two Parties for the cause of preparation and conducting of joint actions against the external aggressors. Renaming of the Red Army and the Soviets and subordination to the united command and the central government was already considered in the appeal of the Communist Party of China to the Plenum of the Kuomintang. Concerning the Three Principles of Sun Yat Sen, the CPC even earlier did not consider them to be unacceptable and it is ready to struggle for implementing these principles of national liberation, democratic freedom and the welfare of the people. Regarding the class struggle, the CPC has on more than one occasion proved its genuine endeavour towards the unification of all sections of the Chinese people into a united national front for a joint struggle against external aggression. Towards this goal the CPC has repeatedly called for an end to the civil war, has unilaterally declared an end to the confiscation of the landlords' land etc. 'Kommunisticheskii Internatsional i kitaiskaya revolyutisya', Moscow, 1986, p. 273-274. Translated from the Russian by Tahir Asghar. The speech by Comrade Wang Ming was somewhat in the nature of propaganda and was optimistic. He knows well, and we have talked with him on more than one occasion as I am the one directly dealing with the Chinese party, that the problems confronting the Chinese party are extremely complex and the position of the party is exceptional. Imagine all that has occurred during the past two years. The Chinese Communist Party, which was leading the Red Army in China, takes a crucial turn. You will not find a single section of the Comintern that has been put into such a situation and that has made such a crucial change in its policies and its tactics during the past few years as has been done by the Chinese Communist Party. It fought for the Soviets in China, for Soviet regions, created a Soviet government, created an army, estranged a part of the army of Chiang Kai-shek from him in its aim of sovietisation etc. The cadre of the party, materials of the party and the strength of the party - all of this was concentrated up to 95% if not wholly 100% in these Soviet regions. And in the armed struggle against Nanking the cadre was educated, they matured and grew; good cadre emerged as did their political leaders. But from this orientation it was required at this moment to turn around 180 degrees in the policies and the tactics of the party. And now the same cadres, not another party, not new people but the same members of the party, the same masses must conduct a different policy. Is this policy correct? Certainly. It is being conducted in accordance with the general line of the VII Congress of the Communist International and is in accordance with the development of the Chinese revolution. The issue in China today is not of Sovietisation but about keeping the Chinese people from being devoured by Japanese imperialism. It is necessary to unite large forces of the Chinese people in the struggle against the Japanese aggression for upholding the independence, freedom and integrity of the Chinese people. And here the party was supposed to - and on the whole it did so - make the transition to the position of struggle not for the Sovietisation of China but for democracy, for unification on a democratic base of the forces of the Chinese people against Japanese imperialism, against Japanese aggression. And now the talks and discussions are going ahead with the Kuomintang and Chiang Kai-shek. Our party is ready for it and has already taken the first steps towards transforming and restructuring in practice the Soviet regions from being Soviet to democratic, where the Soviet government is transformed as the government of a Special Region, and the Red Army is being transformed not into the Red Army of the Soviet, but a part of the common All-Chinese anti-imperialist army etc. There are many difficulties and dangers confronting our Chinese comrades and our Chinese Communist Party in these manoeuvres and games of Chiang Kai-shek and his circle. It is easy to imagine what dangers confront our party. Help is necessary here, help with people and strengthening the Chinese cadre within. We must help the Chinese Communist Party so that it is able to organise its forces in Kuomintang China, increase its influence among the working class of Kuomintang China. After all the Red Army of China is a peasants' army. The percentage of the workers is very small. In the party too this share is very small. An important objective today is to put the working masses and the working class of China not under the influence of the Kuomintang or other political groups but under that of the Communist Party so that it can lean on not only the armed forces, which it has, but also in one form or the other on the working class of Kuomintang China, and Shanghai and Canton and other important centres of China. This cadre is available abroad. They can help the party. It is crucial to introduce our cadre in North China. This is the issue that needs to be attended to first. If it was possible to examine the documents of the Chinese party in more detail, some other points could have been identified which pose a threat of slipping up, of ideological malaise in the party and among the party cadre, and can be disorienting. We have to make some corrections here. For this reason new people who are well versed with the international situation are required to help the CC of the Communist Party of China. The CC itself requires help. And also at the time when the war is on - and it is on and will continue. It is not going to be a simple episode, an incident that happened and then is over with the occupation of north China. Not at all. Comrade Wang Ming talked about his views. He said that the occupation would mean strengthening of the positions for further offensive by the Japanese military in China, not to mention the position against the Soviet Union. The question of whether the CC of the party, and its members and its apparatus will be in a position to continue their work is very serious. Here the Chinese comrades have to really hurry and do everything possible to strengthen the leadership of the party, to prepare a group of very active members of the Central Committee of the party, and to create better links between the CC of the party and the mass of the party men and the mass of the working class. I think we will discuss these with the Chinese comrades separately in a smaller commission. We will have to come out with concrete proposals but not to approach it with such optimism. The situation is not bad, but difficulties must be kept in view, must be taken account of and hopes need not be raised on flimsy grounds. It would do neither the Chinese comrades nor us any good. The other problem - what is happening in Japan? What is happening within the country? Is it so impossible for the international proletariat to influence the mood of the masses inside the country and use their anti-war sentiments which indubitably are present in the country. This too is a specific problem and its resolution will certainly help the Chinese people in their struggle against the Japanese military. We know from genuine sources that Japan is facing internally financial difficulties and all the time the efforts of the Japanese government are directed towards procuring loans. It is looking for loans in England because Germany, while signing the agreement on war against the Soviet Union, is not ready to give loans. When they are unable to get loans in London, they look for them in Paris then New York. Is it not possible that we, the international proletariat, cannot initiate a campaign which can to some extent prevent or make unpopular release for the Japanese military money that may be used for war against the Chinese people. It is possible to initiate such a campaign. There is the huge press in France and England etc. Prominent personalities that sympathise with the Chinese people can be mobilised, questions can be raised in the parliament and in the press to make it difficult to lend money to the Japanese military. These and a number of other measures can serve as international help to the Chinese people. 'Kommunisticheskii Internatsional i kitaiskaya revolyutsiya', Moscow, 1986, pp. 274-277. Translated from the Russian by Tahir Asghar. 1. The start of the all-Chinese armed resistance against the Japanese aggressor and the successful advances in creating the united national front would mark a new stage in the struggle of the Chinese people. The changed situation requires transformation of the Communist Party of China into a mighty all-Chinese political authority and orienting it towards the growing power of millions of working people of China. For this purpose the party needs to reassign its cadre and its means for establishing its organisational units in important and strategic centres, and also to fundamentally change the form and methods of its functioning, of its leadership and organisation in such a manner that the party is able to, with all its strength, work and exercise influence in all the organisations of the working people. 2. One of the most important tasks of the party consists in re-educating the old cadre politically, in military matters and in the use of new methods of work, and in promoting new cadre from the ranks of, above all, the workers and the activists and leaders of the mass revolutionary movement. 3. We must obtain by persistent pressure on the Kuomintang and the Nanking government and by means of mass campaigns the legalisation of the functioning of the party in all the regions under the Kuomintang and must turn our attention towards setting up of a massive legal press in the major towns. 4. The Communist Party of China, as the party of the workers, must increase its work especially among the workers and their trade organisations, and draw them into active participation in the anti-Japanese struggle and in the united national front. 5. In conditions of reorganisation of the Red Army as the National Revolutionary Army and an arm of the all-Chinese army, it is necessary to take steps to maintain its combat capability, integrity and absolute loyalty to the cause of liberation of the Chinese people, of increasing its number and by its actions on the battleground to demonstrate that they are the frontline, selfless and battle-ready section of the all-Chinese army and thereby win for itself the trust of the people and respect among other armies. 6. As its paramount task it is especially necessary to conduct decisively and persistently the policy of the united national anti-Japanese front and do everything for the overall strengthening of the front. 7. The enemy will now step up its subversion in the CPC by means of degrading, provocation, espionage and terror. Maximum revolutionary alertness, systematic checks on the cadre and those close to the party apparatus and a determined cleansing of all the suspicious and untrustworthy elements in the party and the Red Army, in particular of the covert trotskyites and Chen Du-xiuists, is an immediate task. In this connection the party has [[?nott?] done enough. It is absolutely erroneous to relate to the trotskyites as to another political party or a stream, and it absolutely inadmissible to put the question about the possibility of including the trotskyites in the united national anti-Japanese front as it was done in the last year's appeal of the CC. We must intensify the struggle on all fronts against the trotskyites as agents of the Japanese military. 8. With the aim of intensifying on a large scale the international campaign in the defence of China it will be appropriate that the Communist Party along with the Kuomintang, the All-Chinese Association of National Salvation, the trade unions and students, women and cultural organisations and other organisations of China come out with an appeal to all the international organisations - the Communist International, the Socialist International and the Amsterdam International and all other international anti-war and anti-fascist organisations for solidarity and help in the struggle of the Chinese people against the Japanese aggressors. 'VII Congress of the Communist International and the Struggle against Fascism and War', pp. 472-473. 'Kommunisticheskii Internatsional i kitaiskaya revolyutsiya', Moscow, 1986, pp. 281-282. Translated from the Russian by Tahir Asghar. Meeting with Stal(in) in the Kremlin. D(imitrov), Wang Ming, Kang Sheng, Communard. The decree of the Secretariat [of ECCI] is outdated. 1) Basic for the Chi(nese) Communist Party at present is: to participate in the all-national upheaval and to take a leading position. 2) At the moment war is the most important. And not agrarian revolution not confisca(tion) of land. Chi(nese) Com(munists) have moved from one extreme to the other - earlier they confiscated everything, now - nothing. 4) How should the Chinese fight against the foreign enemy - that is the basic question. When that is settled, then to tackle the question, how to fight amongst themselves ! 5) The Chinese are now in more favourable conditions. More than we were in 1918-20. Our country was divided along the line of social revolution. In China national revolution, struggle for nat(ional) liberat(ion) and freedom. Unites the country and the people. 6) China has a great reserve of people and I think, that Chiang Kai-shek is right when he asserts that China will win. What is needed is to persist with the war that has started. 7) For that it is necessary to create its own war industry. It is easy to produce aeroplanes, but it is very difficult to transport them. Aeroplane manufacturing facilities must be built. If China has its own war industry, no one can defeat it. 8) 8th Army must have not three, but thirteen divisions. That can be done in the form of reserve regiments as a replacement of the existing divisions. New regiments must be raised, and armed training given night and day. 9) Since the 8th army does not have artillery, its tactics should not be of direct attack, but should irritate the enemy, to draw it into the countryside and to attack it from the rear. 10) Neither England, nor America want China to win. They are afraid of its victory, because of their own imperialist interests. Chinese victory will influence India, Indochina etc. They want Japan to weaken as a result of the war, but would not allow China to stand on its legs. In the form of Japan, they wish to have a dog on the leash - to frighten China, as in the past. * Tsar's Russia did but they do not want the dog to eat the whole of the sacrificial victim. 11) For the Chin(ese) part(y) congress it is not advisable to engage in theoreti(cal) discussions (refers to the 7th Congress of CPC). They can leave theoretical problems for later. After the end of the war. To talk of a non-capitalist path of development for China now has much less chance than earlier. 12) Held up is the question of the setting up of national revolutionary league. 13) In Uhumi a suitable representative of the 8th Army and the party. * In the original scratched text 'in Russia Tsar monarchy'. --The last meeting with Wang Ming, Kang Sheng, and Communard. (G. Dimitrov: Dnevnik, p. 131). Stal[in]: 1) Spanish communists must leave the government. They have two secondary posts. If they leave the government, it will speed up the demoralisation of Franco's Front. To an extent the international situation of Spanish Republic would be eased. The quitting of the government should not be demonstrative, not as unhappiness with the government. but with the aim of lightening the load of the Go[vernment]. To argue that since syndicates do not participate, the communists think it inexpedient to be in the government. 2) Support the government but not participate in the go(vernment) - such should be our position at the given stage. And in France too. b) Creation of the nation revolutionary federation of Kuomintang, and CP (with participation of different movements). The federation not to enter CI. Help to CP -- 500,000 dollars. 4) Reorganisa(tion) of the organs of CI. Congress. The plenum to be called half legally (not to publish Reports and Speeches). (G. Dimitrov: Dnevnik, p. 132). (G. Dimitrov: Dnevnik, p. 141). 'The report of Okano will be sent to you one of these days. We shall prepare the joint declaration of the represent(atives) of the Communist Parties of Japan and China when the representative of the Chinese CP returns from vacation. Now, Okano apart from the work for the country will be busy with the translation of The History of the Communist Party of the Soviet Union (B). About his future work, we shall decide after you reach here. (G. Dimitrov: Dnevnik, p. 142). Chin(ese) comrade Lin Biao* (local family - Li Tin ) - commander of 115th division of the VIII Army. Director of the War Academy in Yan'an. Brought materials of the VI plenum - of CC [of the Chinese Communist Party] (November 1938). The VII Congress of the Chi(nese) Communist Party is slated for May. 40 persons (almost all members of the CC and Commanders and Comm(isars) of the VIII and IV Army participated in the Plenum). VIII army. VI army. Part(isan) detachments. Rear units. Schools and others - in all 329,000. From the gov(ernment) they receive every month - 600,000 Chin(ese) doll(ars). (G. Dimitrov: Dnevnik, p. 166). He directs 500,000 guerilla troops, which operate from the suburbs of Shanghai to the Amur River -- mostly in the rear of Japan's Armies. 'China must unwaveringly continue the war against Japan and establish a closer political association with U.S.S.R.
China's first task today, Mao went on, must be 'to change the old fashioned political system'. From the telegram of G. Dimitrov to the Central Committee of the Communist Party of China on the occasion of the interview of Mao Zedong by the American journalist Edgar Snow. It is necessary to denounce the provocative essence of this statement. Communicate the contents of the last conversation with E. Snow [...] We urgently request that Mao Zedong and other Chinese comrades refrain from giving interviews to foreign correspondents such as the interview to Edgar Snow as this is utilised for provocative purposes. 'Kommunisticheskii Internatsional i kitaiskaya revolyutsiya', Moscow, 1986, pp. 284-85. Translated from the Russian by Nirmal Kumar. 'Kommunisticheskii Internatsional i kitaiskaya revolyutsiya', Moscow, 1986, p. 291. Translated from the Russian by Nirmal Kumar. The two coded messages received from the CC of the Chinese Communist Party and the available information from Soviet sources show, that Chiang Kai-shek obviously thinks the present moment is suited for an all-out strike against the Chinese Communist Party and because of this his generals foully attacked and routed the IV Army, and have also embarked upon aggressive measures against the 8th army and the Special Region. Howsoever difficult and dangerous the position of the Chinese communists may be, they cannot leave unanswered the bandit-like attack on the Fourth Army and not defend itself against attacks on the Eighth Army and the Special Region by the armies of Chiang Kai-shek. In this way, if Chiang Kai-shek does not stop the aggressive actions of his generals, inevitably a big internecine war would break out, which, of course would only be of use to the Japanese. We have the possibility of transmitting to our friends in a fully safe manner instructions for such a campaign. Kindly give me your opinion on it. Does it follow that we take such steps. - Late at night they announced that the letter had been delivered to Stalin. - From Chongqing, 17 January 1941. ...Today Chiang Kai-shek addressed a request through Jan Chun, to send to Moscow his request, in a nutshell the following: To treat the conflict between the soldiers of the 3rd region and 4th NRA* as war incidents with local significance, not to assign them any political significance, not to give them wide reaction. He assures that this 'incident' under no circumstances would affect the relations between the central government and the Chinese Communist Party and would not be reflected in the future co-operation in the fight against the Japanese. The higher officers of the Fourth NRA would be relieved. (G. Dimitrov: Dnevnik, p. 210). 'It is difficult to react to any advice of a military character. But to us it is absolutely clear, that you should certainly take all possible active measures against the Japanese offensive, despite all difficulties. On this depends, not only the future fate of the national war of the Chinese people, but also the future of the Comm(unist) Party and army. The proposals of Chiang Kai-shek, in his telegram of First June made to you for such concrete, active measures seem to me to be right and practicable'. (G. Dimitrov: Dnevnik, pp. 234-235). - Information for Mao Zedong, that monetary help (1,000,000 doll[ars]) is agreed to and will be sent in parts. (G. Dimitrov: Dnevnik, p. 239). - Our general directive is sent to China. It is proposed for the CC of the Chi(nese) Communist Party to study it and to draw concrete conclusions for the Chi(nese) party and to inform us of their decision in this regard. - Wrote to Molotov regarding illegal sending of monetary help to the Chinese Communist Party. - It is agreed to set up a special radio studio here by us for illegal broadcasting. (G. Dimitrov: Dnevnik, p. 240). - Received telegram from the CC of the Chinese CP, informing us of the decision of the Chi(nese) comrades, by all possible means to counter the transfer of Japanese soldiers from North(ern) China against the USSR. Request for army reserves, to be able to undertake actions on a larger scale. Wrote to Stal(in) and Molot(ov) on this question. - Looked up the papers for illegal radio broadcasting. (G. Dimitrov: Dnevnik, p. 241). - This sense was conveyed to the Chinese CP. - Asked Mao Zedong on what is based the communications of Chongqing regarding new clashes between the 8th army and soldiers of the cen(tral) go(vern)ment and what measures are envisaged for mutual relations with the Chinese government. - Molotov called about the necessity of the representatives of the Chinese CP to take part in the forthcoming session of the National-Political Council. Sent the directive to Mao Zedong. (G. Dimitrov: Dnevnik, p. 264). - Received the reply from Mao Zedong, that they will participate. - Shcherbakov called regarding help in strengthening of the range (cross[border] transmission) from our country. - Meeting of the Secretariat [of ECCI] with the participation of radio editors, commentators and oth[er] polit[ical] workers. We carried out critical analyses of the character and contents of our radio propaganda and in general our work beyond the borders. I request you to pay serious attention to this circumstance and take urgent measures so that representatives of the Communist Party in Chongqing conduct firm, consistent politics directed towards the improvement of relations between the Communist Party, Chiang Kai-shek and the Kuomintang avoiding on our side anything that might strain these relations. It is necessary that disputed questions be cleared up and the endeavour be made to direct settle matters with Chiang Kai-shek. 'Kommunisticheskii Internatsional i kitaiskaya revolyutsiya', Moscow, 1986, pp. 291-92. Translated from the Russian by Vijay Singh. - Telegram from Mao Zedong: informs that he agrees with us completely. (Tele[gram] of 16th June 1942.) and has taken measures. (G. Dimitrov: Dnevnik, p. 304). 1) Recognition of Chiang Kai-shek as the supreme commander by the 18th army group (200,000 people) and their inclusion in the general staff of the Chinese army with the preservation of their direct command. The remaining armed forces of the CCP to be considered as guerrilla fighters, under the command of Chiang Kai-shek's headquarters. 2) Supplying the 18th army group with all types of weapons and provisions. 3) Inclusion of the representatives of the 18th army group in the headquarters of all the war zones with the title of Deputy-Commander of politi[cal] administration of the army as representatives of the CCP. 4) Removal of the blockade of the Special Region, termination of the persecution of Communists and freedom of E. Tin and the arrested workers of the 4th Army. 5) To work out and publish the mutual agreement with the government of Chiang Kai-shek of the post-war democratic reconstruction of China. 6) Legalising the Communist Party in the whole territory of China and the creation of normal conditions for work and spread of the cent(ral) organ of the Communist Party 'Sinhua Jibao'. We agreed that after the confirmation of this platform by the authorities, he through diplomatic means and I through ECCI will work together for settling the mutual relationship between Chiang Kai-shek and the Communist Party in this way. (G. Dimitrov, Dnevnik, pp. 344-345). Panyushkin has telegraphed that in a meeting with Vyacheslav Mihailovich [Molotov] it was made clear that the CC [of VCP(b)] now will not take up the question of relations between Chiang Kai-shek and the Communist Party and therefore for the time being the proposed plan be postponed. (G. Dimitrov: Dnevnik, p. 345). Bolshakov (Intelli[gence] Ser[vice]). Information from Yan'an about the serious illness of Wang ming. Treatment is necessary either in Chengdu or USSR. But it is as if Mao Zedong and Kang Sheng are afraid to let him leave Yan'an, in fear that he may give out information unfavourable for them. Advised the representative of the intelli[gence] ser[vice] not to interfere in these inter[nal] matters of the Chinese communists. (G. Dimitrov: Dnevnik, p. 349). Dikanazov called regarding the question of the treatment of Wang Ming in USSR. Proposed to him to approach the Sov(iet) ambassador in China Panyushkin with orders to procure from Chiang Kai-shek permission for Wang Ming's travel to USSR. (G. Dimitrov: Dnevnik, p. 354). 1. About your son. He is settled in the Military-Political Academy. On completion he will acquire a solid knowledge in the fields of Marxism-Leninism and contemporary military matters. The youth is able and I do not doubt that in his person you will receive a reliable and good assistant. He sends you warm greetings. 2. About matters of a political character. We ourselves understand that after the disbandment of the Comintern no one of the former leaders can intervene in the internal matters of a Communist Party. But in an honest and friendly way I cannot but speak to you of the anxiety which has been aroused in me by the condition of the Communist Party. You know that from the beginning of 1935 I was closely and frequently concerned with Chinese affairs. On the basis of all that which is known to me I consider that a politically mistaken course is being undertaken to curtail the struggles against the foreign occupiers of China, and that a deviation from the policies of the United National Front is becoming apparent. In the period of the national war of the Chinese people such a course threatens to place the party in isolation from the state of the mass of the people, and has the capacity to bring about a perilous sharpening of the civil war which can only be in the interest of the occupiers and their agents in the Kuomintang. I consider the conducting of the campaign against Zhou Enlai and Wang Ming to be politically incorrect. It incriminates the recommendation of the Comintern policy on the a National Front as a result of which they supposedly lead the party to a split. Such people as Zhou Enlai and Wang Ming need not be severed from the party, but retained and utilised to the utmost for the work of the party. I am troubled by the circumstance that a section of the party cadres have unhealthy attitudes with relation to the Soviet Union. Doubts arise in my mind also concerning the role of Kang Sheng. The carrying out of such correct party measures as the cleansing of the party of enemies and building its unity, is being accomplished by Kang Sheng and his apparatus in such abnormal forms, that it has the capacity only to sow mutual distrust and to provoke deep indignation in the ordinary masses of the party membership and to help the enemy and its efforts to demoralise the party. Even in August of this year we received from Chongqing thoroughly trustworthy information that the Kuomintangists decided to despatch their agents provocateurs to Yan'an with the purpose of making mischief between you, Wang Ming and other party activists, and also to create a hostile frame of mind against all those who lived and studied in Moscow. I forewarned you in good time of this insidious design of the Kuomintangists. The secret desire of the Kuomintangists is to corrupt the Communist Party from within as it is easier in this way to bring about its destruction. For me it is beyond doubt that Kang Sheng in his activities is playing into the hands of these provocateurs. Pardon me for this fraternal plain-speaking. But only my deep respect for you and the firm conviction that you, the generally acknowledged leader of the Party, are interested to see things in their genuine light, allows me to speak so candidly. I request you to reply to me about the channel by means of which I may send you the current correspondence. I strongly press your hands--D [imitrov]. 'Kommunisticheskii International i kitaiskaya revolyutsiya', Moscow, 1986, pp. 295-96. Translated from the Russian by Nirmal Kumar. Sent to Mol[otov] a copy of my telegram to Mao Zedong and his answer. (G. Dimitrov: Dnevnik, p. 402). One of these days received Mao Zedong's answer (through Ilichov line) to my letter (coded) of 22 December 1943. 1) We are not lessening the anti-Japanese struggle. On the other hand, during 1943 parts of the 8th Army carried out tens of active operations against the Japanese. As a result of these actions a part of the regions lost in 1940 and 1942 have returned. The 8th army forces now number 500,000. The fight against the Japanese in 1943 was viciously fought. 2) Our line on the question of co-operation with the Kuomintang remains unchanged. During July 1943 a tense and dangerous situation emerged. The Kuomintang was preparing to carry out an armed attack against the Special Region. As a result of the all-out measures taken by us, we were able to avoid a clash. There is a possibility of a similar tense situation being created (even) in 1944. Our efforts, our measures would be to avoid armed clashes. 3) Our relations with Zhou Enlai are very good. We are taking absolutely no steps to throw him out of the Party. Zhou Enlai has achieved great success and progress. 4) Wang Ming was carrying out various anti-party activities. All this has been brought to the knowledge of all party members. But we do not plan to make it public knowledge for the entire mass of the party, what is more, we are not preparing to publish it for the consumption of the non-party masses. The result of the criticism of all the mistakes of Wang Ming among the higher party members is that these cadres got even more united and well knit. 5) I wish to assure you and can guarantee that Com. Stalin and the Soviet Union are treated with love and all possible respect in the Communist Party of China. 6) From my point of view Wang Ming is a hopeless person. Wang Ming was earlier arrested in Shanghai. Some people said that in the prison he had admitted his being in the Communist Party. Later he was freed. They also talked of his suspicious links with Mif. Wang Ming has carried out large anti-party activities. There is hope for Kang Sheng. Verification of members is not carried out by his apparatus. They deal only with exposing a part of the spies. We carried out a full and total verification of members. Besides the telegram of 2nd January, in which I explained my point of view, now once again I wish to inform you of the following on the questions concerned: I greatly and sincerely thank you for directions given to me. I am deeply obliged to study them, to pay attention to them and to act upon them. Regarding the mutual understanding with the Kuomintang the politics pursued by us is the politics of co-operation. I expect that in this area the situation in 1944 will be better. Inner-party questions: Politics in this area is directed towards bringing together, towards strengthening of unity. In relation to Wang Ming, precisely such a politics would be carried out. As a result of the work carried out in the second half of 1943 the situation in the party, and the unity of the party improved significantly. I request you to be relaxed. All your thoughts, all that you are going through is close to my heart, since my own thoughts and feelings basically are the same. (G. Dimitrov: Dnevnik, pp. 402-403). Received both your telegrams. Your second telegram pleased me specially. I never doubted that you will give the necessary serious thought to my friendly remarks and would take relevant measures, dictated by the interests of the Party and our common task. I will be grateful to you, if you let me know what practical results have accrued from the measures taken by you. Fraternal greetings. I shake your hands warmly'. (G. Dimitrov: Dnevnik, p. 408). 'Respected G[eorgi] M[ikhailovich]! Your two telegrams were given to me in December-January. Thank you for your concern for the CPC and for me. My relations with Mao Zedong remain as they were earlier, since I, with all my soul hold him as the leader of the party, despite personal differences between us in the past on different questions of politics, the anti-Japanese national united front and the most serious campaign, which in the last one year was carried on against me in matters of the Party life. [One] comrade told me that he systematically informs you about all these questions. I do not know what is of interest to you in these matters and what questions are not clear to you. Please direct me and I shall answer. During the past one year, in the party a campaign has been carried out to re-examine its entire history on the basis of the ideas and actions of Mao Zedong. He is declared to be the chief representative of Chinese Bolshevism and sinicised Marxism-Leninism. Acknowledging that you can raise the authority of the party, which is particularly important in the conditions when the Comintern is absent, in the condition of bringing up the CPC as a national proletarian party, I fully support this campaign. That is why I have already, orally and in writing declared to Mao Zedong and the CC, that the fight against Li Li-sanism, the formation of the new politics of the anti-Japanese national united front is the contribution of Mao Zedong and not mine, as I had earlier considered. I also declared, that I renounce all political differences. I thank you and dear Rosa from my heart for the years of educating and looking after my daughter. (G. Dimitrov: Dnevnik, p. 412). Received your telegram of 26th February. I am very happy. 1. During August, September and October last year the Kuomintang, using the dissolution of the Comintern, began a big campaign for the dissolution of the Chinese Commu(nist) Party. Along with this, by concentrating large armed forces, began to threaten the Special Region. Chiang Kai-shek, at that time estimated that all these actions taken by him would inevitably lead to schisms in CPC. But as result of these actions our party got united and strengthened. We took a strong position not only in relation to the campaign unleashed by him for the dissolution of the CPC, but also against the threatened war. This position taken by us forced the Kuomintang, in its 11th plenum in September last year to take a decision, in which the possibility existed of resolving all questions between the CPC and the Kuomintang by political means. After that we published our declaration, in which we welcomed that decision of the 11th plenum of the Kuomintang. 2. During December last year at the Cairo conference Roosevelt stated in the presence of Chiang Kai-shek his views about the necessity of preserving unity between the Kuomintang and the CPC and about not allowing armed conflict between them. From 3rd August to December last year in the USSR and America were published a number of articles, whose contents were directed against the dissolution and armed conflict between the CPC and Kuomintang, for their unity. All this, taken together, was of a great help to us. 3. During December, last year Chiang Kai-shek in a meeting with our representative in Chongqing, Dun Biu expressed his desire for us to send our representative from Yan'an to Chongqing for a meeting and talks with him. 4. During January this year Chiang Kai-shek ordered Hu Tsunan to ease the situation around Special Region. Hu Tsunan while fulfilling that (order) during February directed the forces under him to stop the preparations for attack on the Special Region. A the same time, under his orders the four most efficient infantry divisions were withdrawn from the borders of the Special Region and in their place - were brought second-rate, less efficient infantry divisions. 5. We have decided to send Lin Botsui as representative of the Special Region to Chongqing for talks with Chiang Kai-shek. That is the latest. Lin Botsui will leave in the beginning of April. 6. In Chongqing, at a press conference, foreign correspondents asked a lot of questions related to the Special Region to the representative of the Kuomintang, about the NRA: what is their situation, what is the politics of the Kuomintang towards them and so on. During February a group of foreign correspondents wrote a letter to Chiang Kai-shek with a request to permit them to travel to the Special Region. Despite his unhappiness at the letter, he was compelled to give approval for this visit. But at the same time he ordered that a group of his people be sent along with the correspondents to the Special Region. In this group of foreign journalists there are representatives from America, England, Canada and Australia - in all 10 persons. We on our part welcome the arrival of this group. It will reach Yan'an in the beginning of April. 7. Roosevelt has expressed his desire to commission his military representative in the Special Region in order to understand the condition of the 8th NRA. Chiang Kai-shek clearly is not happy with this question being raised before him. This question at the moment remains open and unresolved. 8. During the past one year, the Kuomintang carried out only two big actions on the war front against the Japanese: The first in the region of Ichan and the second one in the Chande region. Even these operations were forced on the Kuomintang army by the Japanese, who first started the attacks. The fighting capacities of the Kuomin[tang] are getting reduced every day. America has been expressing its displeasure at this passiveness of the Kuomintang army. In view of these conditions America wishes to use our armed forces to attack the Japanese army at the time of the counter-offensive. 9. We on our part, very much wish the American government to make efforts for a positive solution to the problem of mutual relations between the CPC and the Kuomintang. At the same time we very much wish America to help us with weapons and military supplies, which we badly need. If it is possible, please inform Browder of this and request him to extend help in this direction. China hopes for a counter-offensive against Japan. *Refers to the army of the state of Manju-Go, created by the Japanese in 1937. (G. Dimitrov Dnevnik, pp. 416-417). Bulgaria's current anti-communist government last week tried to destroy the mausoleum and monument that once held the remains of that country's anti-fascist hero and first communist president, Georgi Dimitrov. Spectators in Sofia jeered at government workers as they secured more than a tonne of explosives in holes around the white marble tomb. At 2:40 p.m. a huge blast shattered the windows of surrounding government buildings and covered onlookers in smoke and dust. But the Dimitrov mausoleum remained defiantly standing. A second demolition attempt still failed to bring the building down and caused laughter in the crowd. 'There is not enough ammunition to destroy our ideas,' shouted one veteran. From: 'The New Worker', 27 August 1999. Click here to return to the September 1999 index.